A couple of years ago, it was estimated that humans had taken over 3.8 trillion photos. Imagine keeping track of that many images. It’s likely that you have hundreds of thousands of photos spread across your phone, your computer, your cameras, your hard drives, on social networks, in your favorite editing programs, and probably even on old memory sticks, hidden deep in the nether regions of your desk drawers. And organizing that mess… impossible, right? Wrong. 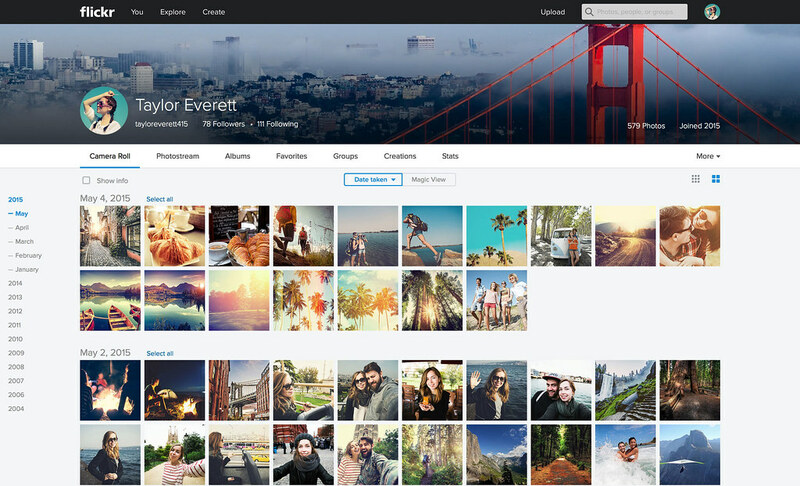 When we introduced 1000 GB of free storage for every Flickr account, we heard great things from our community and knew that we needed to continue developing Flickr in a way that would allow you to unleash its power. 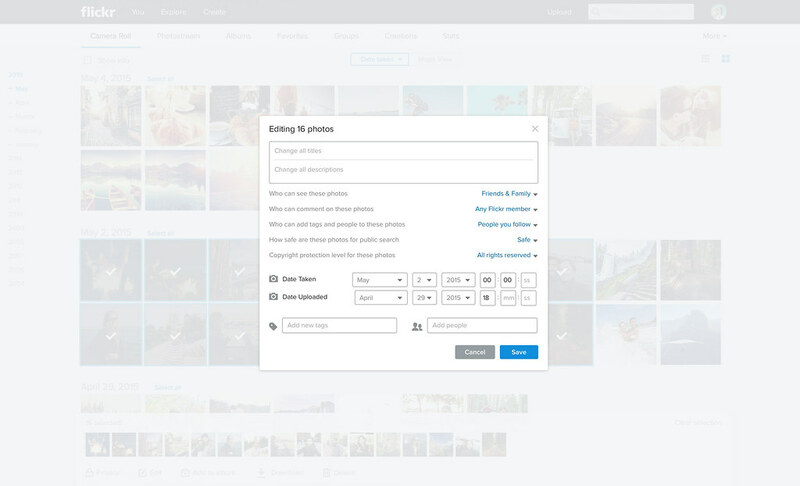 Over the last year, we’ve been hard at work building an end-to-end solution for managing the photos in your life, so you can focus on the fun part of creating and sharing your memories. 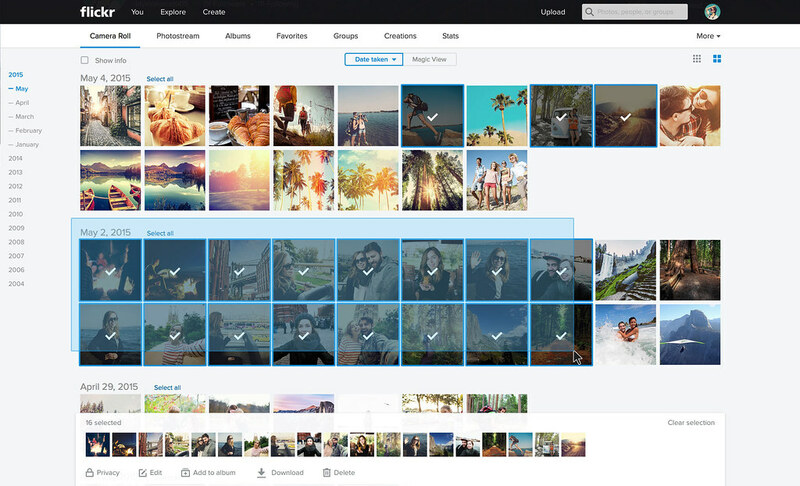 Today, we’re happy to announce Flickr Camera Roll and Uploadr, two powerful tools that will revolutionize the way you upload, organize, and share every photo you’ve ever taken. With these tools, you can now maximize the potential of all of that free space and finally take control of the photos in your life. The Flickr Uploadr for Mac and Windows lets you effortlessly upload hundreds of thousands of images from wherever you’re storing them on your computer, including your hard drive, iPhoto, and any external drives. That means you can add about half a million or more photos (depending on their size). The Uploadr is a breeze to use. 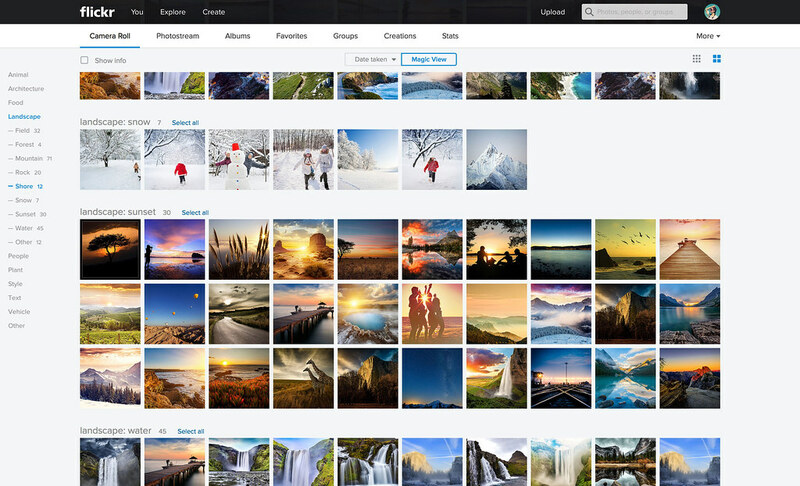 Log into your Flickr account, select where your photos are stored and you’re all set. The Uploadr will bring these photos into the Flickr cloud automatically while you eat dinner or go out for a walk, making them accessible from any device. Everything new you add to your selected folders will get uploaded automatically and in true Flickr fashion, the uploaded images will be marked as private by default. Uploadr is the perfect way to sync your camera and computer with Flickr – it’s easy and powerful. It also nicely complements the new Uploadr on iOS and Android (learn more), which backs up your photos from your phone as fast as you snap them. So now that you have tens of thousands of photos in your account, how do you wade through the clutter? With Camera Roll, we’ve made it easy to access and view your entire catalog of images, then organize your photos with seamless, fluid gestures using your mouse or touch screen. You can view your entire history of photos by when they were taken or when they were uploaded, then edit them in a flash, thanks to new bulk editing features. Select the ones you want and quickly add titles, descriptions, tags and other metadata. With this release, we are creating a new product category: the world’s first “social camera roll.” More than just cold storage for photos, a photo sharing platform, or a social network, Flickr bridges these three and takes the pain and busywork out of dealing with your photos. To see something really delightful, click “Magic View” at the top of your Camera Roll and we’ll magically organize your photos across landscapes, people, black and white, abstract, symmetrical, and more. In a flash, blending time and content, we’ll use our advanced computer vision technology to identify what’s in your photos across dozens of categories. 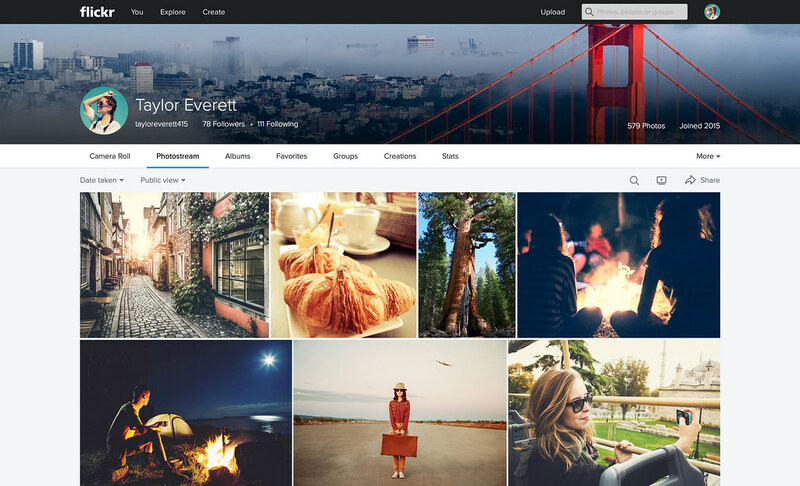 So now you can easily upload, organize, and navigate your photos. But to what end? To share them of course! We’ve overhauled our sharing experience to make it lightweight and incredibly simple to use by bringing you bulk sharing! You no longer have to create an album in order to share a batch of photos. Simply swipe across your photos to select a few from your Camera Roll and click “Share.” You can grab the link, share via email, upload to Facebook, and more. No cloud home for your photos is complete without the ability to download them easily. For the first time, we’re bringing you bulk download. You can pick a selection of thousands of images from your Camera Roll and download them in zip format. Share them with family or friends, print them, make photobooks, and let your imagination run wild. Camera Roll is available on iOS, Android, and web, making Flickr the best place for your pictures to live in full resolution. Combined with our new unified search experience, we’re bringing all of your photos to your fingertips from any device, anywhere in the world. We look forward to hearing your feedback and encourage you to share your thoughts in the Help Forum or on Flickr Ideas.